Top Gear Driving School has been operating for many years with lots of experience and is known for cheap driving lessons with brilliant offers. We cover all levels of driving from beginner to advanced and even pass plus and we ensure that you pass your driving test with the relevant skills and knowledge that will last you a life time as driving is a skill for life. 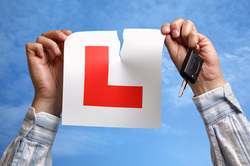 We have fully qualified instructors that have excellent knowledge of the areas we cover for your driving test. We understand that choosing a driving instructor can be a difficult task so we offer a special trial lesson for only £10 for the first hour and after that we have brilliant offers that won’t dig a deep hole in your pocket. All our cars are fitted with dual controls for safety and peace of mind and we offer free theory test practice, all learners are welcome from new to advanced and even foreign license holders for refresher courses Cheap driving lessons in Ilford, Goodmayes, Seven Kings, Chadwell Heath, Barking, Dagenham, Newbury Park, East Ham and Manor Park. Please see our brilliant offers and prices for driving lessons. With our high standards of driving education, we offer refresher courses and cheap driving lessons in Ilford, Goodmayes, Seven Kings, Chadwell Heath, Barking, Dagenham, Newbury Park, East Ham and Manor Park.